Another fun, whimsical and functional window drapes for your little one's room! This adorable window treatment for kids gives a rich, full look to your child's windows. Made of high quality material, the set is durable enough for long time use. 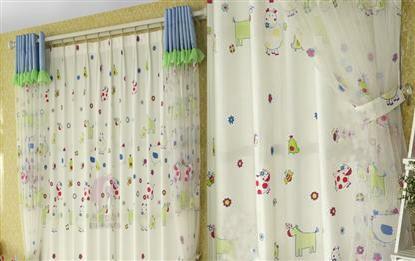 The perfect solution for your child's humdrum windows, this pair of window drapes a classic look at an affordable price.